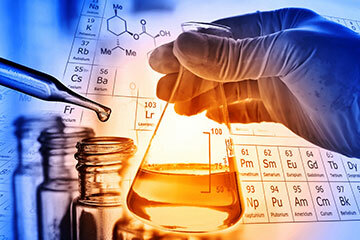 Pharmaceutical and biotech companies rely on impartial third-party research organizations to help develop new drugs by providing services such as toxicology studies, preclinical investigations, clinical trials, and post- marketing studies to evaluate the safety of a new drug. 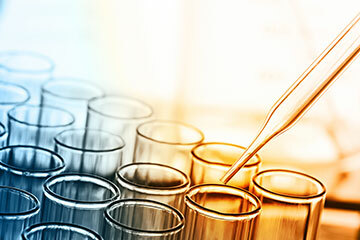 One of the largest biotech contract research organizations closed two toxicology facilities in Virginia and Arizona, and needed to evaluate and redeploy laboratory equipment, machine tools, and plant machinery to maximize the value of the equipment. Since an appraisal and redeployment of specialized assets can be labor-intensive and lengthy, the company engaged Liquidity Services to expedite this process and increase return on assets. As production plans changed for the two facilities, the asset disposition process was also impacted. Liquidity Services developed a multi-stage disposal process in order to align with the related production schedules. The Liquidity Services team of experts was able to quickly recommend and execute redeployment and disposition strategies, extending the life of the equipment. The mix of assets in the facilities was primarily laboratory equipment and machine tools and plant support equipment. The team focused on specialized assets to determine the appropriate sales channels for increased recovery potential. Liquidity Services identified, appraised, catalogued, and sold assets marked for sale within its GoIndustry DoveBid online marketplace and redistributed the remaining assets internally to the client’s other facilities. With a base of nearly 3 million registered buyers, Liquidity Services successfully sold all the assets marked for sale, returning maximum investment back to the client. As a result of the well-managed project, the research company met its decommissioning timeline within the allotted six months. Cost savings were also achieved as a result of internal redeployment. The partnership with Liquidity Services cut down on cost and time expenditures for client staff so they could focus on meeting their goals around the facility closures. This staged process also ensured production remained on schedule while creating more revenue to enhance core business activities to further the client’s leadership within the pharmaceutical industry. A Global Pharmaceuticals Company needed a partner to develop, implement, and optimize a surplus asset management program across dozens of North American and European locations. Maximizing cost savings, asset usage, and recovery through an intelligent, standardized process were the company’s primary goals. Our client is a biopharmaceuticals and healthcare products company with operations in over 130 countries. Our client is a biopharmaceuticals company with operations in the U.S. and Europe. After deciding to close a New Jersey facility as part of a strategic consolidation, the client was left with a wide range of biopharma, IT, and office equipment.